Humans in Australia 120,000 years ago? On Australia's southern coast scientists have found a puzzle. Every explanation is so improbable it would be dismissed, were it not that the alternatives were just as strange. Among these unlikely options is the astonishing possibility humans reached Australia 55,000 years earlier than the oldest previously proposed dates. If true, it would not only overturn our thinking about the occupation of one continent, but the whole of human migration beyond Africa. Forty-five years ago Professor James Bowler of the University of Melbourne made a discovery that was to change Australian archaeology. At Lake Mungo, New South Wales, he found the oldest human remains in Australia, proving humans had been in Australia for 40,000 years. Since then tools 25,000 years older have been found. Yet Bowler's new site hints at a human presence 120,000 years ago. This is so contradictory to everything else we think we know about human migrations that Bowler acknowledges there will be plenty of resistance. 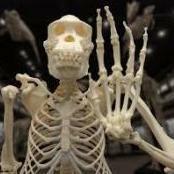 Moreover, as Bowler noted to IFLScience, the site lacks tools or human bones. Yet Bowler and colleagues can offer no natural explanation for what they have found. At Moyjil (Point Ritchie), a cliffed site at the mouth of the Hopkins River at Warrnambool, south-eastern Australia, an erosional disconformity of Last Interglacial age on both a rock stack and the adjacent headland represents a surface of possible human occupation. Shells of edible marine molluscs occur on the disconformity, together with a distinctive population of transported stones derived from a calcrete of MIS 7 age and bearing variable dark grey to near-black colouration suggestive of fire. Experimental fire produced similar thermal alteration of calcrete. A strong correlation exists between intensity and depth of dark staining on one hand and increased magnetic susceptibility on the other. Thermal luminescence analyses of blackened stones provide ages in the MIS 5e range, 100–130 ka, consistent with independent stratigraphic evidence and contemporaneous with the age of the surface on which they lie. The distribution of fire-darkened stones is inconsistent with wildfire effects. Two hearth-like features closely associated with the disconformity provide further indications of potential human agency. The data are consistent with the suggestion of human presence at Warrnambool during the Last Interglacial. The time of arrival of people in Australia is an unresolved question. It is relevant to debates about when modern humans first dispersed out of Africa and when their descendants incorporated genetic material from Neanderthals, Denisovans and possibly other hominins. Humans have also been implicated in the extinction of Australia’s megafauna. Here we report the results of new excavations conducted at Madjedbebe, a rock shelter in northern Australia. Artefacts in primary depositional context are concentrated in three dense bands, with the stratigraphic integrity of the deposit demonstrated by artefact refits and by optical dating and other analyses of the sediments. Human occupation began around 65,000 years ago, with a distinctive stone tool assemblage including grinding stones, ground ochres, reflective additives and ground-edge hatchet heads. This evidence sets a new minimum age for the arrival of humans in Australia, the dispersal of modern humans out of Africa, and the subsequent interactions of modern humans with Neanderthals and Denisovans. When I think about the kind of destructive archeology that was done on the so many famous sites that we know of now in the early years of excavating, I do wonder sometimes if there was not a lot that was lost and not recoverable. One has to be very skeptical of such claims. There are several obvious issues with this claim & work by Bowler. However it is interesting. I think it's important to note that the articles are saying there are hints to suggest this as a possible option, it isn't an official claim, just a singular possibility out of many. Homo Erectus made it to Java a million years ago, it is possible that other groups traversed the seas as well and Neanderthals made it to Crete. I have for several years now thought that the use of watercraft was used more extensively and for longer periods of history but the materials are degradable and evidence is not likely to be found.